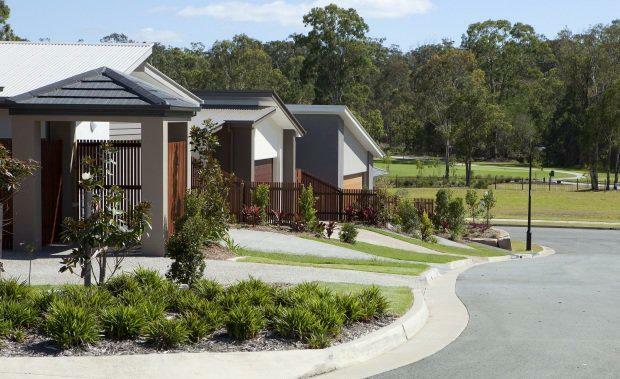 Mirvac has brought forward the release of new golf side land at its Gainsborough Greens masterplanned community in Pimpama, in response to strong demand for homesites in the northern Gold Coast. The developer has released additional premium golf side homesites in the Forrest Green precinct, located alongside the Gainsborough Greens Golf Course and a large park and playground area. The homesites, priced from $260,000, will also enjoy exclusive access to a resident-only recreation hub with resort-style swimming pool, barbeque area and tennis court. The new land release complements the latest stage of traditional home sites surrounding the popular Eco Gully, which is now 80 per cent sold. Mirvac's Development Director of Masterplanned Communities Queensland, Russell Berlee, said the demand for homesites in Gainsborough Greens was growing. "We have been fast-tracking land to the market just to keep pace," he said. "Gainsborough Greens has continued to grow in popularity over the last 12 months as more homes and parklands are built, allowing buyers to experience the quality of the community first hand. "Purchasers are also recognising the rapid growth underway in the surrounding area, particularly major infrastructure projects like the new Pimpama State Primary College and highway upgrades, along with commercial development that is adding to the community's convenience."